If you’re in the mood for a coastal vacation and can’t seem to choose the right locations, apart from the usual European or Mediterranean destinations, then Port Dickson in Malaysia will prove to be quite a welcome change. This destination is a very popular tourist spot in Malaysia and attracts crowds from all over the world, who are looking to spend their holidays in a unique and obscure place. For starters, Port Dickson is very well connected to the main city of Kuala Lumpur and is just an hour’s drive from there. It is also located very close to the city of Seremban, which is a mere 32 kms from here. 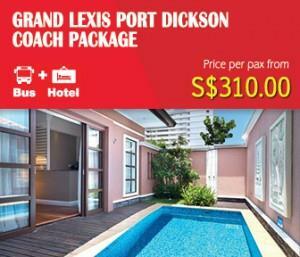 It is also very easy to get around in Port Dickson as there are several taxis readily available at your beck and call. If you are on the lookout for cheaper transportation, then the local buses are your best choice, as they generally do not cost you more than RM 1 or RM 2, you can consider to take the coach to Port Dickson. 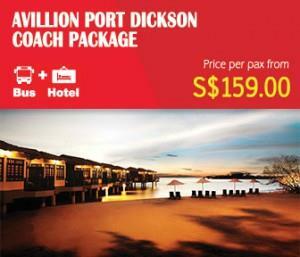 As for sightseeing and other activities, there is literally no end to what you can do at Port Dickson. Port Dickson is, especially, known for its local cuisine, which is considered to be quite spicy and rich in flavor. A very popular dish is the coconut based curry called ‘Rendang’. One can also choose from a wide variety of seafood dishes, which are the main attractions here. Places to visit include the Army Museum or Muzium Tentera Darat located at the Port Dickson Malaysian Army Camp. The museum displays military aircrafts and vehicles used by the Royal Malaysian Army. Another place not to be missed is the Cape Rachado, which is basically a lighthouse built by the Portuguese, that guided ships to the Port of Malacca. The lighthouse continues to perate even today. Other popular sightseeing destinations in Port Dickson include a 19th century fort called Fort Lukut and a 15th century fort known as Fort Kempas. The main attraction in Port Dickson are the many beaches that can be found here. There are also tons of activities that can be enjoyed at these beaches. Some of the activities include wind surfing, canoeing, snorkeling, water skiing and so on. Visitors can even go sailing if they’re willing to spend on a short-term Yacht Club membership. Another hot spot is the Blue Lagoon, which is about 15 kms from Port Dickson. The view of the surrounding greenery and the sea is what attracts tourists to the Blue Lagoon.